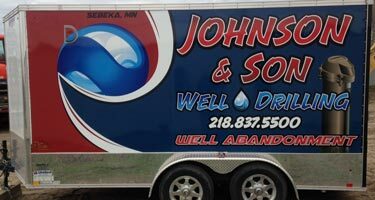 Johnson & Son is the answer to your residential or lake home well water needs. We offer free estimates on all of our work, and we never overcharge by selling or installing parts you don’t need for your well water system. 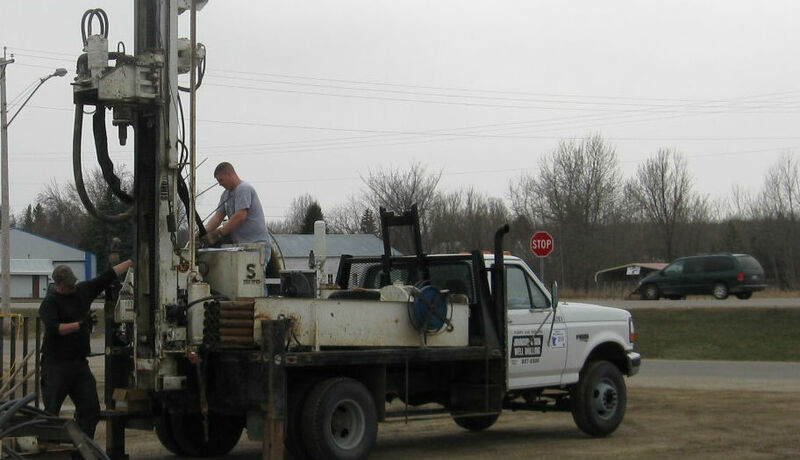 We’ll begin with a free site visit to determine the best location for your well, before we fill out the necessary permits, call in the utilities locate, and drill a 4” well that meets or exceeds all standards and ensures a sound environment for generations to come. 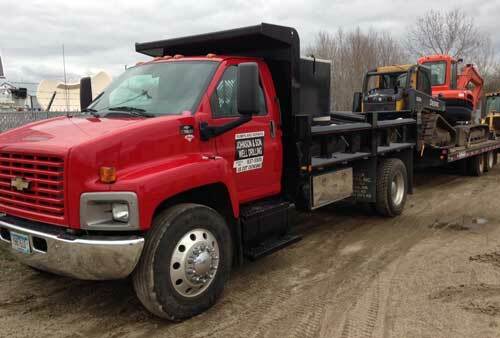 At Johnson & Son, we also provide professional well excavation. With nearly 60 years of experience behind us, history proves that we know what we’re doing. We produce high-quality, environmentally conscious well water solutions time after time. Our goal is to provide you with clean, safe water at an affordable price. Our professionals have a keen concern for the environmental. Directional boring equipment allows us to install underground pipe and conduit with little impact to your property. This means we won’t have to tear up your driveway, sidewalk or landscaping in order to install or repair your water line, because we can go under and around them as necessary. This can save you thousands of dollars, and minimize disruption to your day to day activities. Contact us for an estimate, which includes the cost of going around all of these obstructions. Farmsteads, small towns and older residences often have unused wells on their property, which can pose a safety risk and be hazardous to the environment. 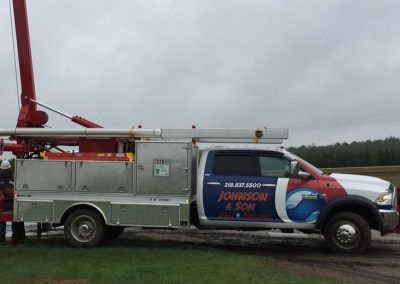 At Johnson & Son, we’re committed to maintaining Minnesota’s clean, safe water supply and will make certain your abandoned well is correctly sealed and up to code. Properly sealing your well helps ensure groundwater is protected by keeping animals and outside contaminates from entering it. With our enclosed unit, sealing is available in all seasons. 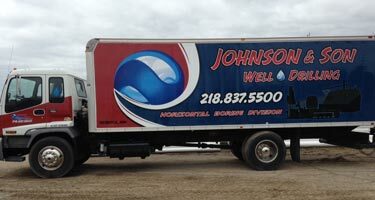 s.
At Johnson & Son Well Drilling, we believe that the ag industry is the backbone our nation, and clean, safe, reliable water is critical to the industry. 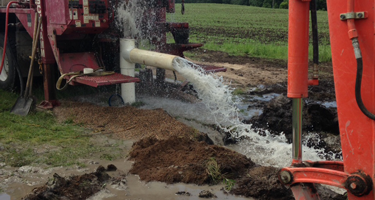 We provide irrigation drilling for the small family farm to industrial farms, and everything in between. 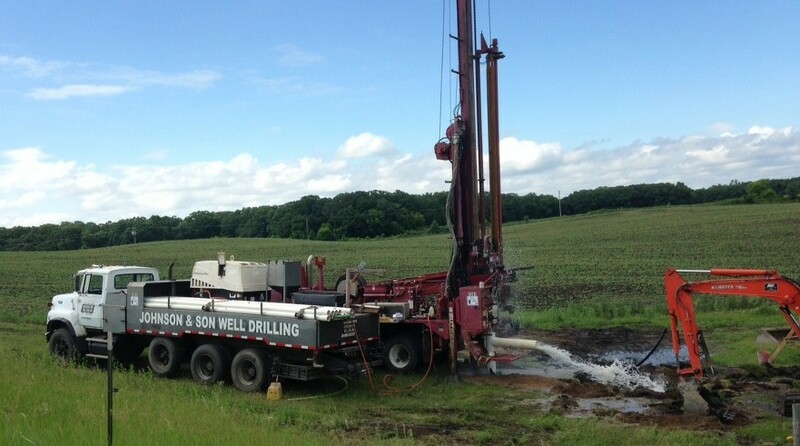 We drill wells from 4″ to 12″ in diameter to meet all of your irrigation needs. If you rely on a well as your water source, then you know how important it is to have a working well pump. When you turn your faucet or shower on, or have livestock waiting to drink, and water barely trickles out of the pipe, you’ve got a problem. 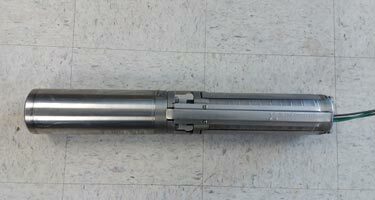 Fortunately, Johnson & Son Well Drilling has the solution. 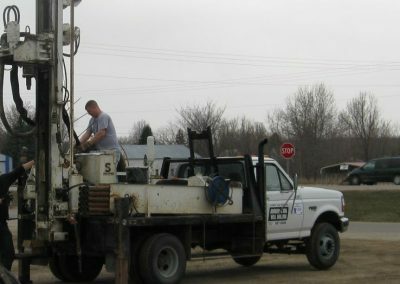 We know just how important proper well pump installation or repair is to your life, and that’s why we hold ourselves to the highest standards. A well pump system normally includes a submersible well pump or jet pump, a water tank and pressure switches to control the flow of water from your well. 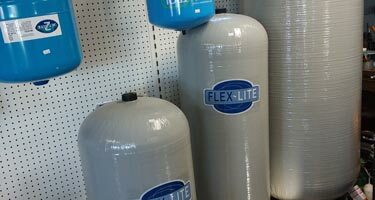 The purpose of a pressure tank is to keep your water pressure at constant level and to separate water and air. Without a pressure tank, your water pump would turn on and off constantly, eventually causing the motor to burn out.